The 18-story tall Bonn-Center building in Germany was brought crashing down by 250 kilos of explosives. 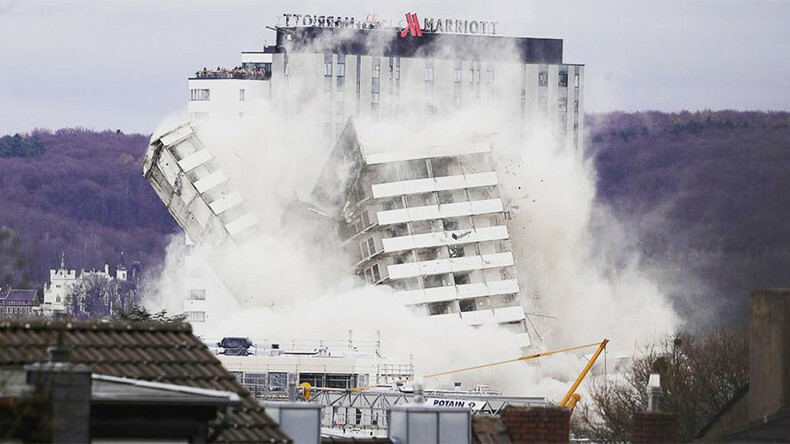 The landmark building, that has towered over the city of Bonn for nearly 50 years, was demolished in seconds on Sunday as residents looked on at it’s spectacular implosion. The rumbles from crumbling concrete could be felt by cheering members of the public hundreds of meters away. Many considered the 60-meter (197 feet) high-rise an eyesore and were delighted to witness its demise. More than 150 officials from the fire brigade, police, technical aid organization and the city ordinance were reportedly on duty to ensure the building’s safe demolition. Construction of a new and improved Bonn-Center building is scheduled to start in 2018 with a modern city center expected to open in 2020.